Would you like to go live from 2 or more locations, appearing together in the same studio, without needing to force your business partners to travel abroad? Programming your background and interacting in real time, no more postproduction? All this and much more is already available to our clients and partners. 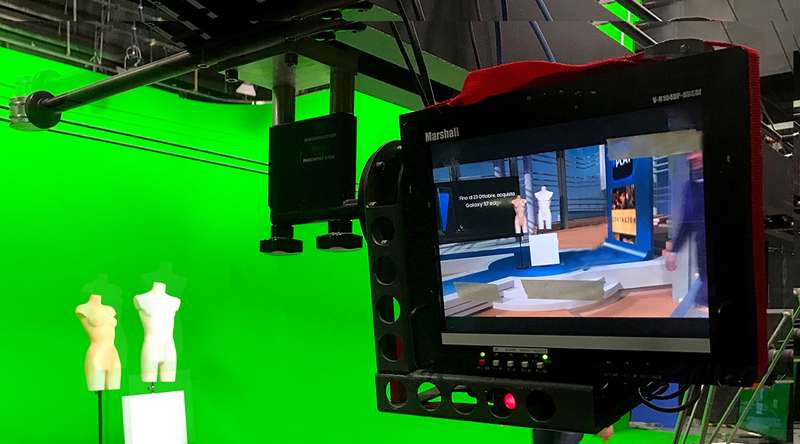 A virtual studio is a television studio that allows the real-time combination of people or other real objects and computer generated environments and objects in a seamless manner. 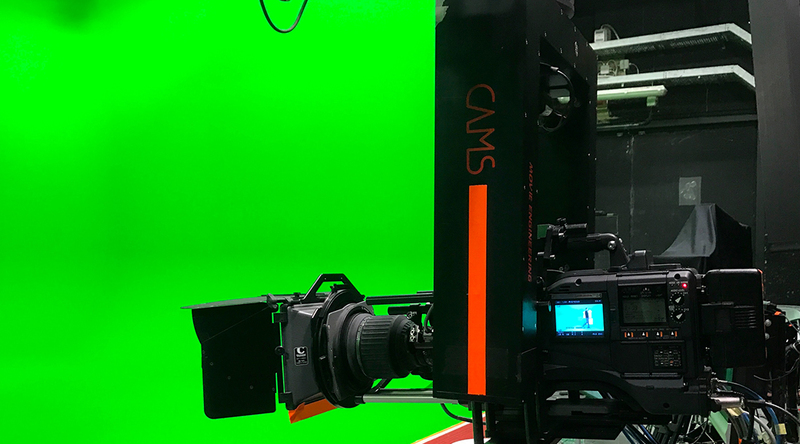 A key point of a virtual studio is that the real camera can move in 3D space, while the image of the virtual camera is being rendered in real-time from the same perspective, therefore, this virtual scene has to adapt at any time to the camera settings (zoom, pan, angle, traveling, etc.). 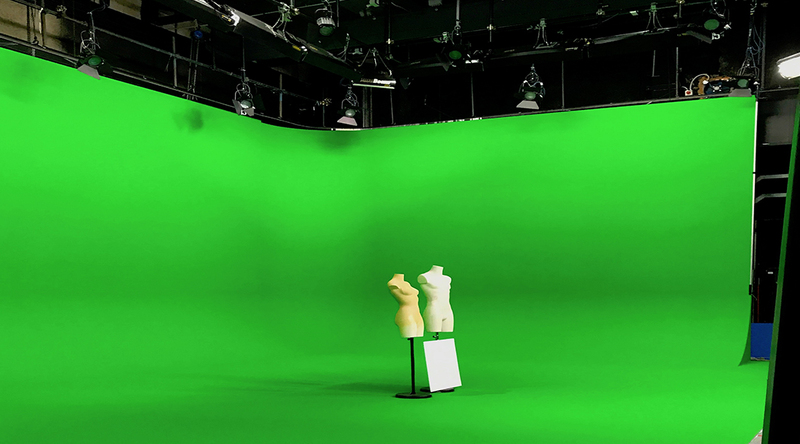 This is what differentiates a virtual studio from the traditional technique of chromakey. It also differs from techniques used in film, in which scenes are edited later. A virtual studio does not need any post production because it is in real-time. 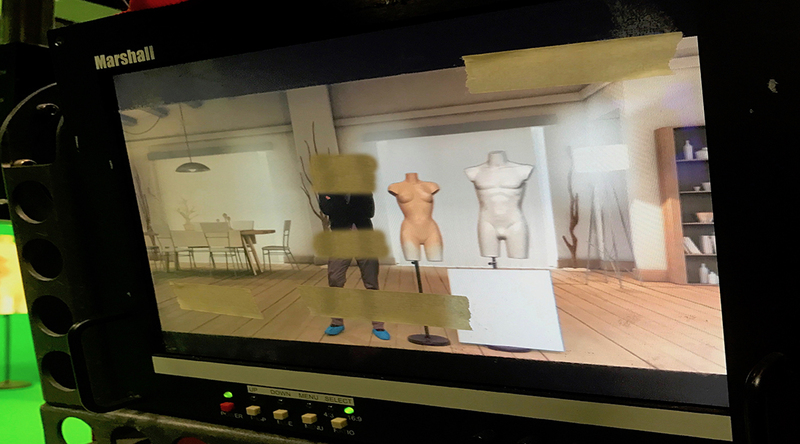 A major difference between a virtual studio and the blue-screen special effects used in movies is that the computer graphics are rendered in realtime, removing the need for any post production work, and allowing it to be used in live television broadcasts.